It is important that young children and babies learn good oral health at an early age. Good dental hygiene contributes to overall good health. Teaching this at an early age will provide the basis for their good health and for their overall confidence in the future. 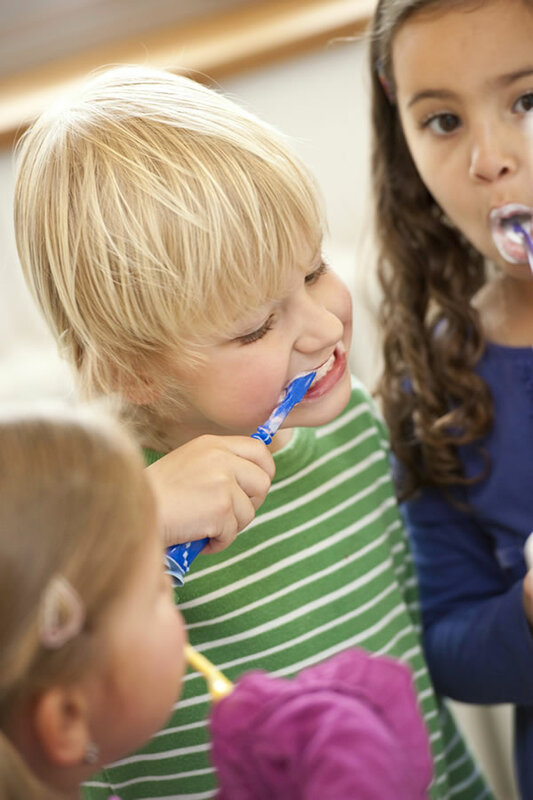 Children learn by example so taking good care of your own oral health is the best way to teach your child. Brushing your own teeth at least twice daily, brushing your child’s teeth, showing them how to brush their teeth and regular visits to the dentist should all form part of the normal routine of good oral health. This builds dental health into the daily routine while teaching children that their teeth are very important and are something to be valued and cared for. Young children and babies do not need to know the complexities of tooth decay and gum disease. They simply need a straightforward message about good oral hygiene. 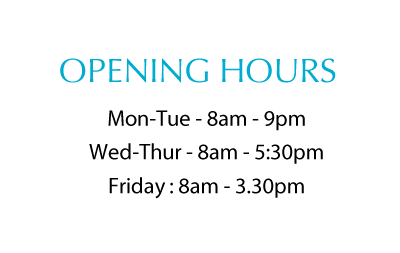 That is why we, at North Street Dental Care, have developed this section to help parents and carers bring this important message to a younger audience. Have you met Flossy yet? 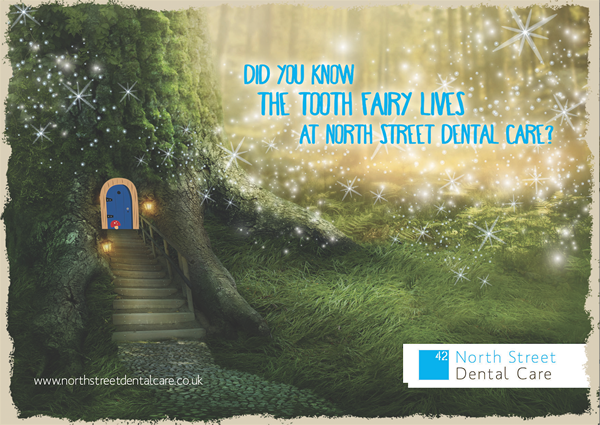 Did you know that Flossy the tooth fairy lives at North Street dental practice? No? Well, Flossy Packed Up Her Sparkly Wings and fluttered all the way from the tooth fairy kingdom to come live with us in North street dental care. Her main aim is to help us to Educate Young People About The Importance Of Good Oral Health and looking after their smile. She has been working really hard putting the finishing touches to her new home here at north street dental care. She takes great pride in her garden and we regularly find new items planted or placed when we arrive for work. Flossy leaves us a newsletter every month which contains some very important oral health instructions, dietary advice and some secret inside information about the magical kingdom where she comes from. 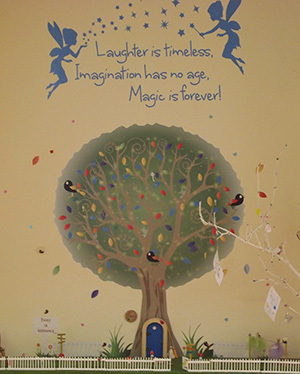 Flossy Loves To Read all of the sparkly card Messages The Left On Her Magical Wishing Tree, She Has Even Used Some Of The Drawings To Decorate the Inside of Her House! Flossy Has Settled Into Our Dental Practice Really Well And Is Delighted With The Response She Has Received From All Of Our Patients. She gives us lots to talk and speculate about. We often hear children ask questions such as What Does She Look Like? Or Why Can We Not See Her? Hopefully these questions will all Be Answered By Our Little Winged Friend In One Of Her Newsletters Very Soon. Your tongue is as unique as your fingerprint is!You wont find two people in the whole world that have the same tongue print! The hard outer covering on your teeth is called enamel. Enamel is the hardest substance found in the whole human body! It’s even stronger than bones!! Sharks can lose some of their sharp teeth every week! They can have up to 20,000 teeth in their lifetime! There are millions of bacteria in your mouth!